Features of this Beach House include a deck and large window wall that faces the waterfront, and screened porch in the rear. Designed to weather hurricanes and other extremes of ocean-front property – a perfect application for earthbags, which far surpass most other building materials. This Beachcomber House is perfect for most large families. It has spacious bedrooms with computer desks, a large modern kitchen and wood stove. The master bedroom features a walk-in closet and private bath, and is opposite from other bedrooms for privacy. Designed for the mountains, this vacation Chalet has a large window wall and deck facing the mountain view. The master bedroom bedroom is on the upper floor. 672 sq. ft. interior plus 135 sq. ft. upper floor (807 sq. ft. total), 2 bedroom, 1 bath. This sustainable home design is named after one of the most productive agricultural regions in the world – Chonburi, Thailand. Rich with old world charm and character, it has a tiled hip roof, covered entry with columns, arched doorways, large country-style kitchen, and all bedrooms upstairs for privacy. Master bedroom has private bath and love seat. Designed for hot climates, this plan can easily be modified for cold climates. Ideal for urban or rural areas, this Cozy Cottage is the right size for new families, or for retiring couples who want to downsize. Features include a laundry room with mop sink and closet, kitchen island with breakfast bar, built-in bookcases/entertainment center, wood stove, on-demand water heater and a pleasant dining nook. Classic mid-west styled farmhouses are extremely practical. This particular Double Wide Farmhouse design includes 10.5′ high walls on the north half, shed roof on the south half, loft over the bath and bedroom, single framed wall down the center. This is a good design for building in stages, including adding additions later. Sacred Mountains is a 2 bedroom, 1 story, 1725 sf (to the outside) house that is designed around the traditional hogan concept of Southwestern native Americans. This was originally designed as a demonstration home for a variety of natural building techniques, so that it employs cordwood, strawbale, adobe, rock, earthbag, and timber-frame aspects. This Summer Breeze House does well in hot climates, but would also have some solar gain in northern latitudes. The center section has extra windows on each end to allow breezes to flow through the house. Features include a large master bedroom with private bath access, laundry, breakfast bar, wood stove and built-in cabinets. ‘Sweet Spot‘ refers to a great place to live as well as a good, efficient design. The Sweet Spot is designed from the inside out using all standard sizes for maximum comfort and convenience. This includes a large bedroom with desk, a standard 5’ bath with bathtub, large kitchen with standard sized frig and sink, and large living room and dining area. There is an addition for the south side of Sweet Spot. It adds two extra bedrooms and more living space. This pleasant U-Shaped Home looks inward to an inviting flagstone courtyard with trees and plants. Spacious windows fill the home with light, while the earth floors, earth plaster and earthbags provide thermal mass to store excess heat, thus providing an even, comfortable inside temperature in moderate climates. This Wilderness Cabin design is for remote fishing and hunting camps where it is difficult to transport building materials. It is compact, efficient and easy to build. A sleeping loft is under the high side of a shed roof. Note: Pier footings are shown here for sloping sites, but with earthbags it is usually easier to build right on the ground. Could you come up with a house plan for an earthship (straight wall) type house? Email me. My address is at the top of every page under About Us. Have you got a dvd video to buy to build one of these houses please? If you buy a plan, I walk you through the options to help get you started. How do these structures do in an earthquake? and has one been built in Utah yet? I need to build one and this is what I want to do.Do not know how to navigate the building permits and all that. Help! Search our blog for stories about earthbag houses in Nepal. Use keyword Nepal and you’ll see lots of projects. About 55 earthbag projects survived the recent earthquakes there and now dozens of new projects are being built. We hope to see hundreds of projects in the near future. Yes, there are at least earthbag projects in Utah. Search for keyword Utah. One is a ranger station and another one is a lady named Kennedy. Plus there are domes. Buy my $20 ebook to learn about codes and every step of construction. I am a member of a poor primary school management board in a Uganda rural area. We would like to build a classroom block of 8 classrooms (4 on each floor) but the local people have challenges with poverty. How can we be best helped using the sandbag technology? First, learn the basics. Read through our websites and learn as much as you can. See our FAQ page, watch videos, etc. Our main site is Earthbag Building.com. 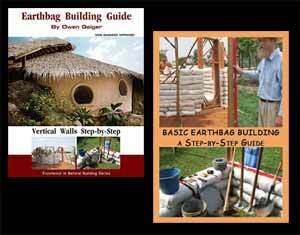 Also see Earthbag Structures.com for building in developing countries. Then contact us for a free school plan. I want to build a home for $10,000 (materials). I don’t know what I am doing. I am just getting started. At first I was going to go to Home Depot or Lowes but I was “piddaling around” on the computer and thought to myself….”why not just google what you want”….”homes for $10,000…so I did and I connected with your site. So here I am …..please help me. I am not a “techy” kinda guy. I am a “phony”….in other words use the old fashioned telephone and call me at 614-741-6146 and let’s chat…..voice to voice…..not peck to peck….ok? Sorry, I work over the Internet not phones. Most every question you can think of has probably already been answered on our websites for free. So even though you’re not comfortable with computers, the information is there for free if you care to look for it.